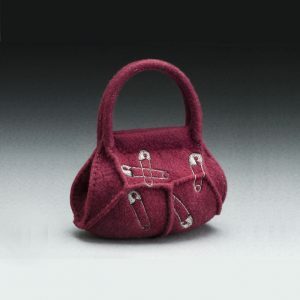 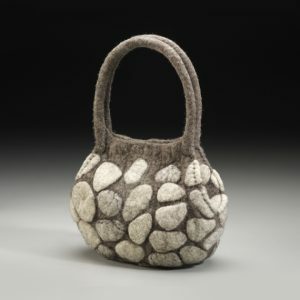 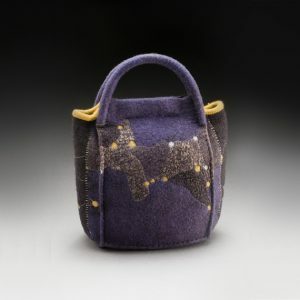 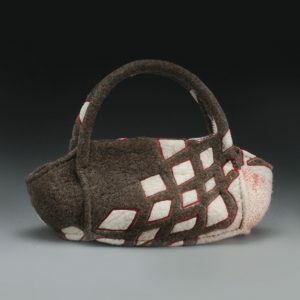 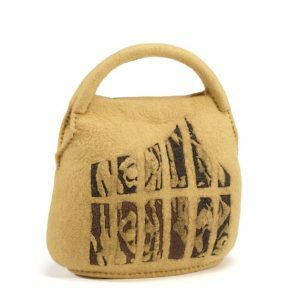 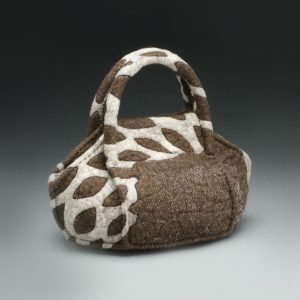 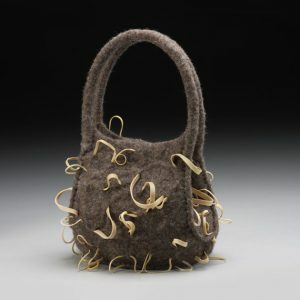 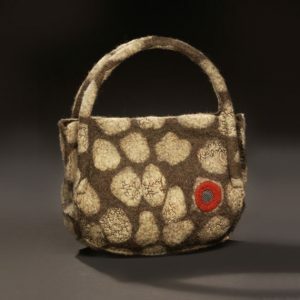 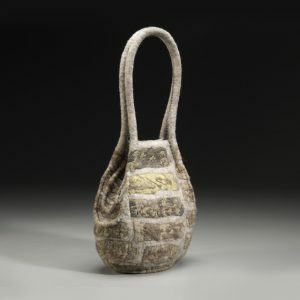 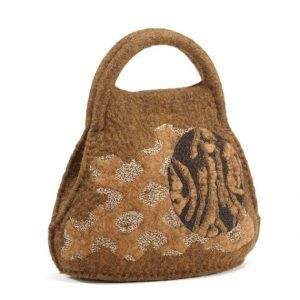 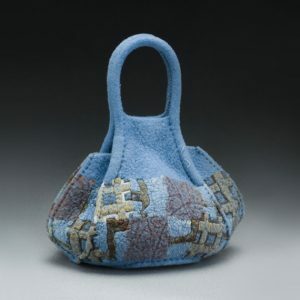 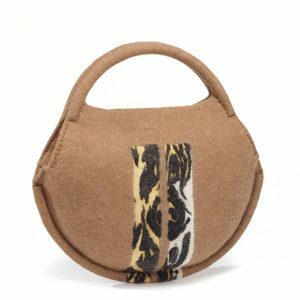 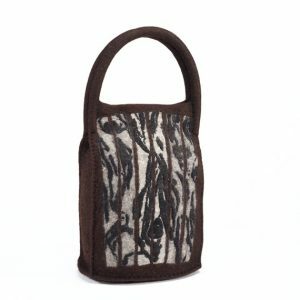 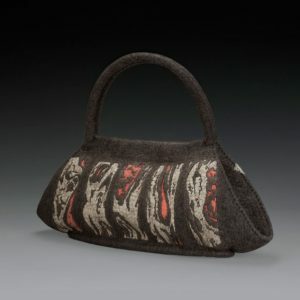 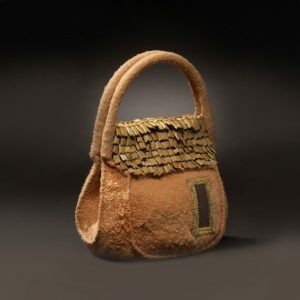 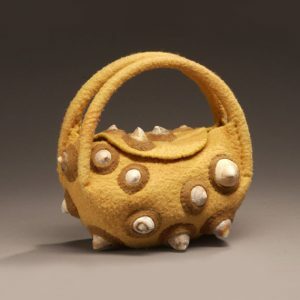 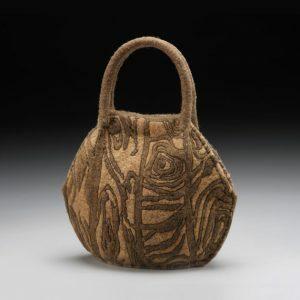 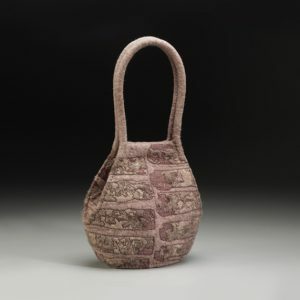 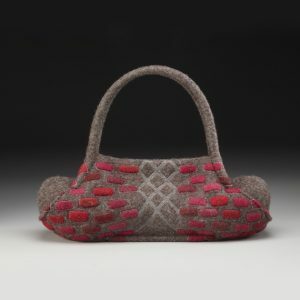 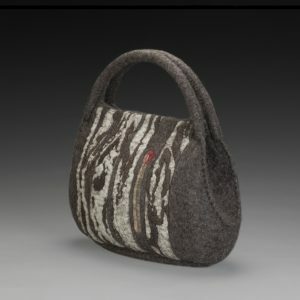 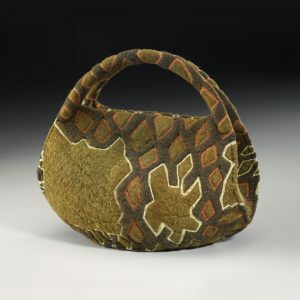 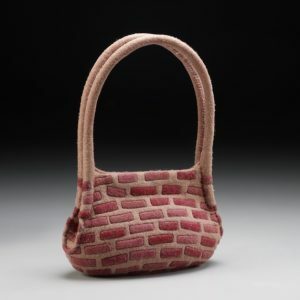 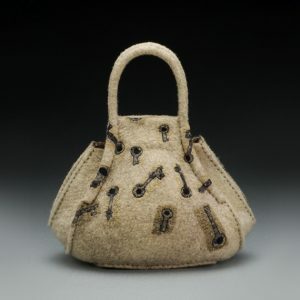 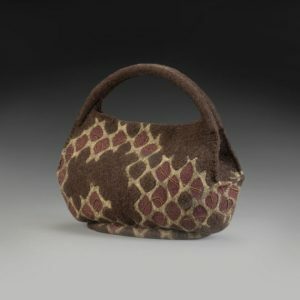 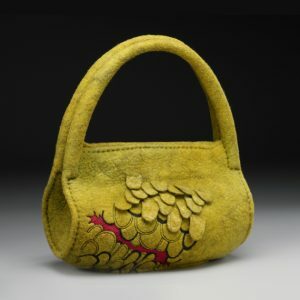 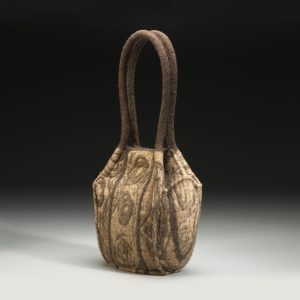 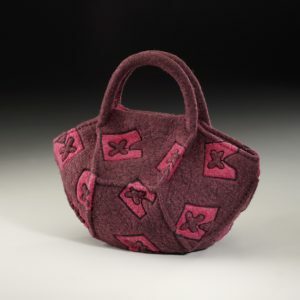 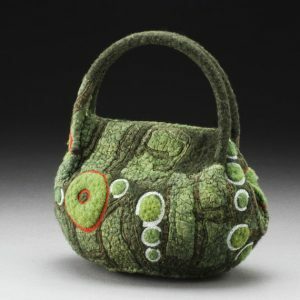 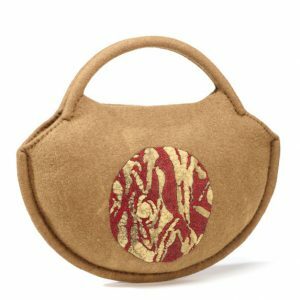 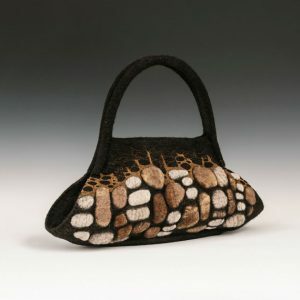 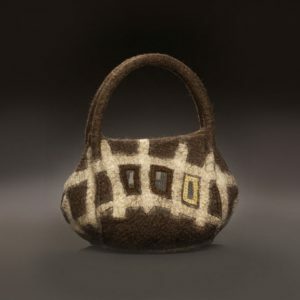 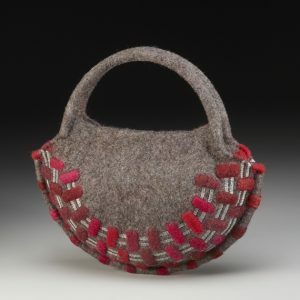 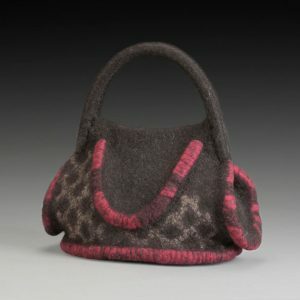 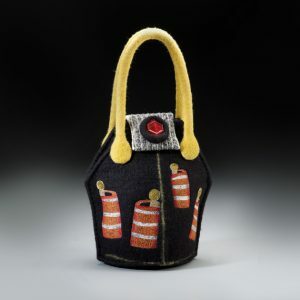 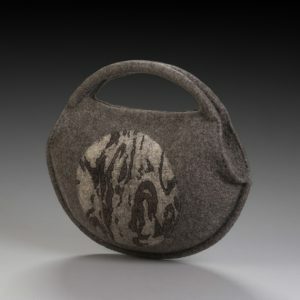 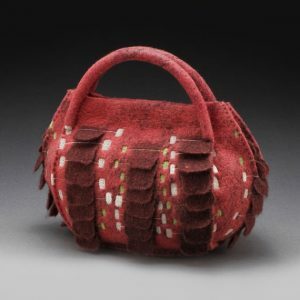 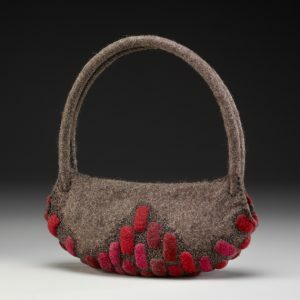 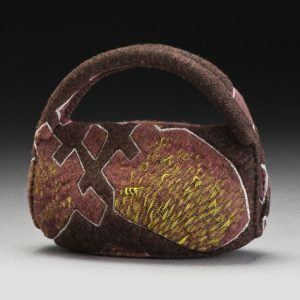 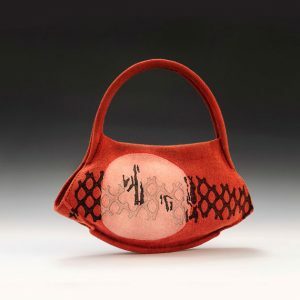 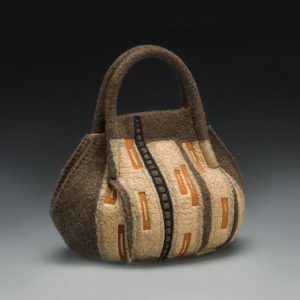 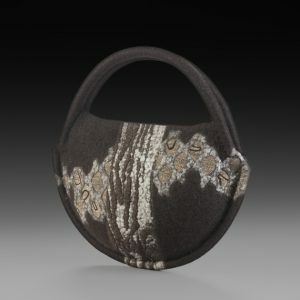 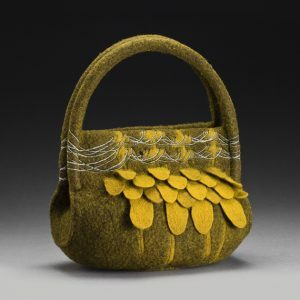 STRONGFELT handbags began my felting exploration as I craved to work 3-D in the fiber medium. 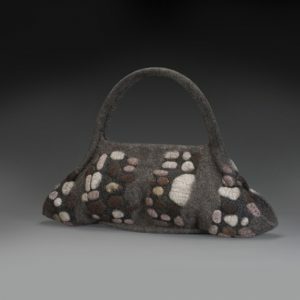 They were first made seamlessly by wet felting wool fibers around a large inflatable sphere, cutting a 3-D pattern from the hollow felt form and fulling or sculpting the final form through directional agitation. 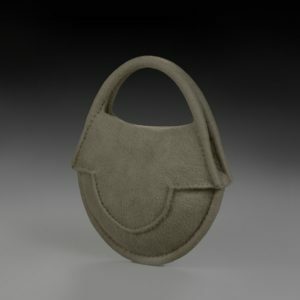 I now produce them on a 2-D resist template allowing for variation of form and precision of surface design placement. 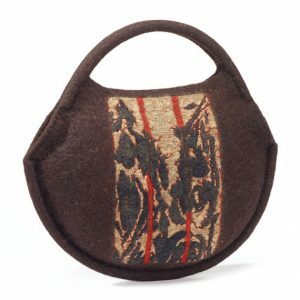 Additionally, the use of thicker partial felt placed in specific areas of my layout determines shrinkage rates allowing for further control of the form. 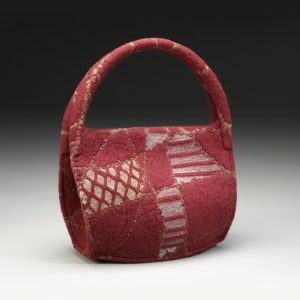 Gussets are defined by pinching and stitching with waxed linen and though they appear to be a seam, these bags are seamless. 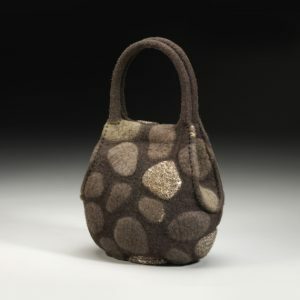 Handles are structured with an internal armature to support the weight and give the object posture. 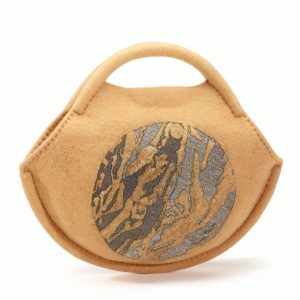 Rare earth magnets are used as the clasping mechanism and finally, a natural shellac is applied to stiffen and resist water. 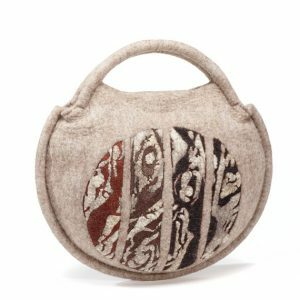 Surface design may incorporate: fusion with fabric, thread and other non-felting fibers, partial felt patterning, 3-D felt surfaces, free-motion embroidery and natural dyes.